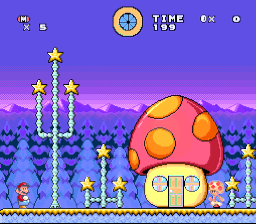 Just to test out the new ROM hack submission system on Mario Fan Games Galaxy, here's an old Christmas themed SMW hack I made about a year or two ago. It has Mario saving Father Christmas from the forces of evil in an adventure loosely inspired by Super Mario Bros 3. This mod is based on Super Mario World for the SNES, and should hence be patched to a US region ROM for the game. This is so cool! ROM Hacks and Mods are such a big part of the fan game community, and it's incredible to see them come to the new, improved MFGG! Looks really, really nice. Downloaded.